We've had such a great crop of Santa Rosa plums on our tree this year - the most ever. And yet, I don't like plums. It seems odd to me - as I love fruits. So I decided I would try one - freshly picked off the tree and see if I just didn't like it much or really didn't like it. To my surprise, when I took a bite into it - I had a flashback to eating plums probably about 30 years ago - and I absolutely hated the texture and had to spit it out! Now I get my dislike of plums - its the texture or rather what the texture makes me think of. The flashback I had was of me sitting on the lawn at Longleat house in Wiltshire. I used to work there at the weekends and school holidays. I was sat on the lawn near the boat trip, watching the sea-lions, eating my lunch which included 2 or 3 plums. My friends used to drive the boats so I was busy watching them and not really thinking about what I was eating. Then something didn't taste right and I looked down and saw that the half plum that was in my hand looked vile - with crawly things in it and horrid creatures....and that the other half was already in my mouth! Ugh. Lots of horrid - bitten in half - bugs!!!! Yuck. And this was the image that came flashing back to me as I tried a plum off our tree. 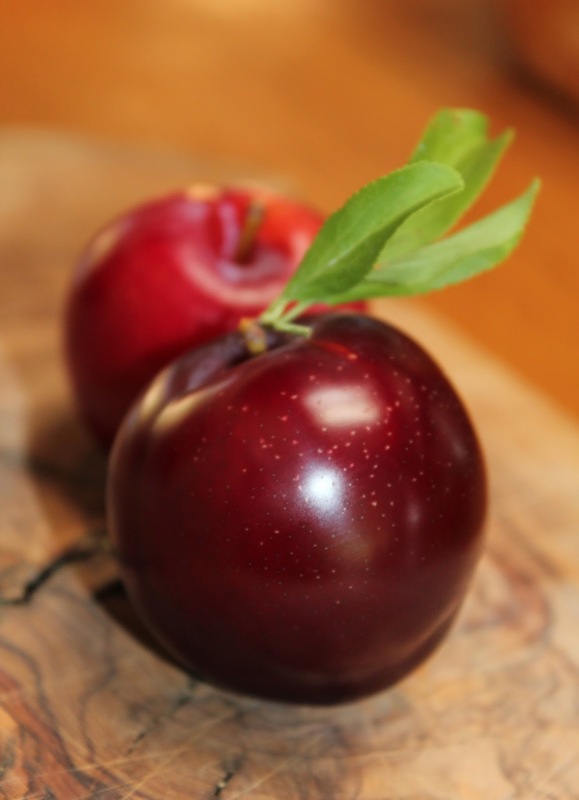 I had forgotten why I didn't like plums - but it was still in my subconscious! 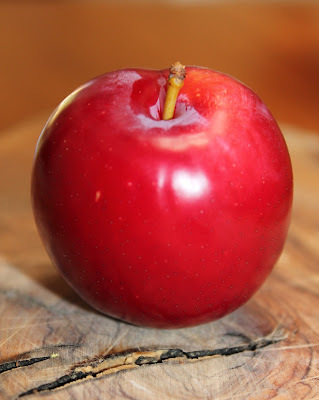 All those years ago, I had been aimlessly eating - and ever since, it has changed my appreciation of a fruit. I guess I should have been watching and thinking and being mindful of my eating then. Yet I often follow that same pattern today ..........my hand keeps reaching for something as I'm busy doing something else, and I'm not mindful of what I am eating. My plums episode this week has reminded me to be more aware and eat consciously. There are many reason to eat mindfully - and avoiding a mouthful of bugs is up there on the list!! Have you ever had any nasty eating experiences that put you off a certain food from then onwards.